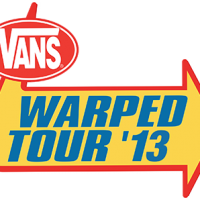 Fresh off the recent discovery of 2013 dates, Vans’ Warped Tour has said they will begin announcing the lineup on December 7 on the official Warped Twitter account. With no one officially announced yet, speculation can begin as to who the headliners will be this year and who will fill the rest of the stages. Perhaps with the ten year theme seeming to go around, we’ll get to see a Drive Thru Records stage come back, with the recently reunited Finch and The Starting Line as headliners? Or maybe Alexisonfire will do a few US farewell shows at Warped? It’s all speculation (and a ton of wishful thinking on my part) at this point. Warped UK will also be announcing its details soon. See the quotes for yourself here after the jump.